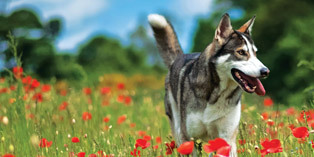 The first Northern Inuit dog has arrived in Brazil! Asgard Kennels, based in South Africa, exported one of their puppies from Thor & Nana’s litter to Brazil. 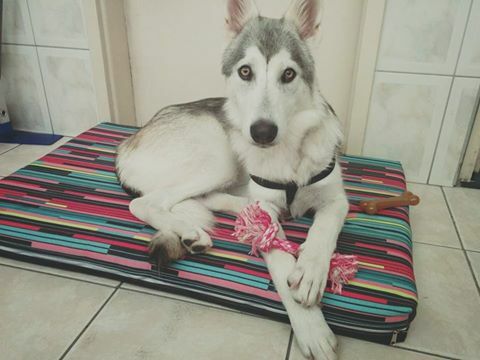 Sigrid has therefore become the first Northern Inuit in Brazil. Asgard and Sigrid’s excited owner carefully planned the export over many months and due to importing requirements in Brazil Sigrid stayed with Theresa and her family (Asgard) in South Africa until she was 5 months old. During this time she lived with Theresa’s pack of Northern Inuits and huskies (so did not miss out on that all important early socialisation). It was a bitter sweet day when Sigrid was put on a plane to Brazil, but using a company specialised in transporting dogs Sigrid was unphased and had a smooth journey to Brazil where her new owner was waiting. Sigrid has settled in very well and flying the flag for the breed in Brazil!